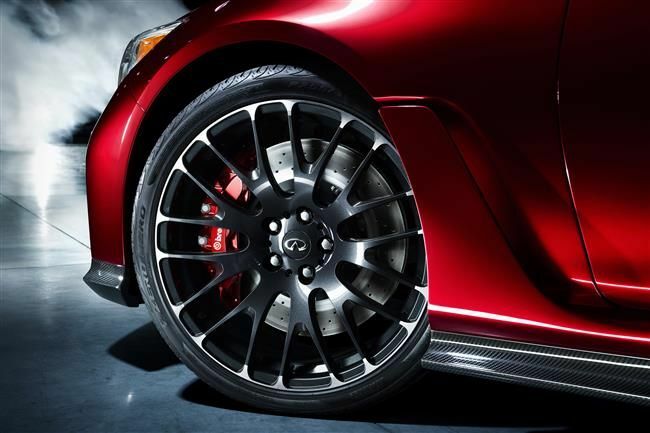 Infiniti continues to tease us with their Eau Rouge prototype – a GT-R powered all wheel drive sports sedan. Their latest video features Sebastian Vettel driving a prototype. These differ slightly from the show car, which used a two-piece extension. This probably saves time, since a large number of test cars would have to be built for various purposes. You’ll also note that the rear fenders use a simple bolt-on flair, rather than the integrated flair of the show car. In other words, the show car used an entirely new fender while this car just uses flares to cover the wider tires. 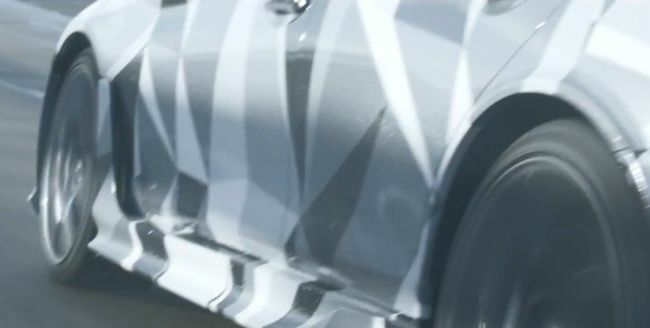 This suggests that like the IS-F, the rear tires will be just slightly wider than production, while the fronts will be considerably wider (255 on the show car), along with the track. And that front and rear fenders will be new, while the door sheet metal remains unchanged. But, caution, this is a prototype and much works remains to be done. The video almost seems more like a commercial for an available product than it does a proving ground video. We’d almost wonder if they are still selling the idea to us, and if the decision to build the car has actually been made. But we believe it has, and that the program is nearing production. Hong Kong – Infiniti is pressing ahead with the evaluation of the Q50 Eau Rouge high-performance vehicle and will show footage of the testing of a prototype version, at the hands of Infiniti’s Director of Performance Sebastian Vettel, at the 2014 Beijing Auto Show. The four time Formula One world champion tested the 560hp high performance sports sedan at the Millbrook Proving Ground automotive testing facility, UK, putting the prototype through a challenging series of performance, handling and precision driving evaluations. Vettel’s invaluable feedback will be engineered into the next stages of the prototype’s extensive development program – testing components, packaging and viability. Further information regarding the Infiniti Q50 Eau Rouge running prototype will be released on press day at the 2014 Beijing Auto Show on April 20.